Dated Brent crude oil climbed in January, supported by good arbitrage opportunities to the Far East; a narrow Brent/Dubai EFS, and relatively good domestic demand. 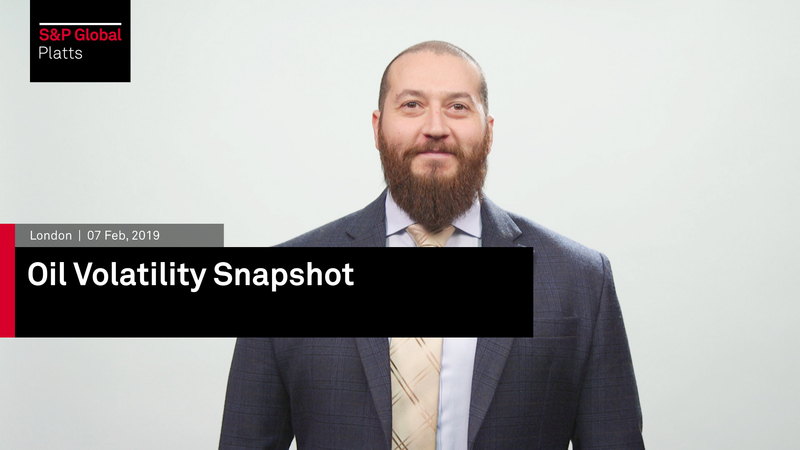 S&P Global Platts quantitative analyst, Vito Turitto, reports on how the uptrend in the Brent physical market arose, despite more than 800,000 b/d of WTI Midland crude being expected to arrive into Europe during February. Welcome to The Snapshot - our series which examines the forces shaping and driving global commodities markets today. Dated Brent moved higher in the month of January supported by good arbitrage opportunities to the Far East, a rather narrow Brent/Dubai EFS and a relatively good domestic demand. The uptrend in the Brent physical market happened despite more than 800,000 b/d of WTI Midland are expected to arrive in Europe in the month of February. Internationally, geopolitical tensions kept weighing on the crude oil market, in fact, the majority of market participants are focusing on tensions between US and Venezuela and trade talks between the United States and China. Furthermore, the International Monetary Fund has recently lowered its forecast for global growth by 0.2% from the 3.5% it projected in October. The revision was triggered by the slowdown in China's GDP expansion and the weak economic outlook for emerging markets. However, if geopolitics is pushing crude oil prices higher the fact that the US output is almost as high as 12 million b/d, according to the Energy Information Administration, and its export averaged 3.19 million b/d in January are certainly factors that are contributing to put a cap on global crude prices. The Volatility Premium analysis indicates that the volatility curves are still very high, however, they have significantly declined in recent weeks and the downtrend is probably going to continue. This market scenario is likely to support a higher degree of market stability and a slow price uptrend. The Probability Distribution analysis implies that the fluctuation rate is trading within the 35 and 40% range which is one of the highest ever achieved by the Brent market over the last two years. Therefore, it is reasonable to assume that the volatility will tend to decrease in coming weeks and achieve the 30 - 35% range, where it has more than 11% to settle. Until next time on the Snapshot - we'll be keeping an eye on the markets.